I've only ever been to Manchester once before, years ago when my sister went to Manchester University. So after planning a trip back up to the Northern city as an adult, I ended up staying at the INNSIDE hotel. I've stayed in a variety of hotels, both budget and luxury, but everything about INNSIDE beats them, for so many reasons. 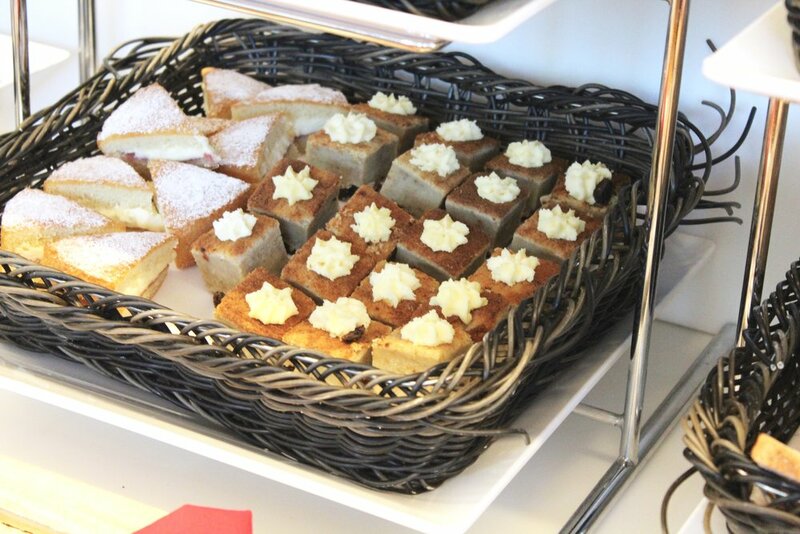 As the only hotel of the Melia chain in the UK, the work that's been put into the hotel is fantastic. You're greeted by a stunning winding staircase in the atrium as well as flowers throughout by a local supplier, along with quirky ornaments of purple bulldogs. I was lucky enough to meet the manager for a quick coffee (with a side of smarties in a shot glass, naturally ) and chatted about the place, learning about how they're planning to open another branch in Liverpool and all about the small details to do with the hotel, as it celebrates its second birthday. What struck me was how un-chainlike it felt and had the vibe of a boutique hotel with all of its additional features. 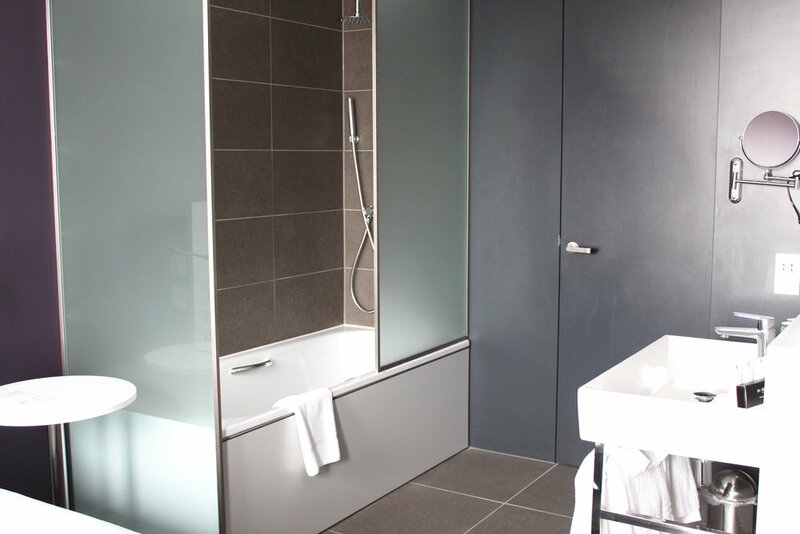 The standard rooms boast a beautiful open bathroom that allows you to see the whole room as soon as you enter and prevent it feeling small and boxy. The suites are just as gorgeous with a deliciously sink-inable grey sofa and waterfall shower. The little details really make you realise how well they want their guests to welcome. A USB charger in the wall for when you forget your plug which I do way too often, a huge amenities kit (for people who forget make up remover pads like I also do) and Sampar products, a Parisian beauty brand that prides itself on being anti-pollution for any city dwellers. To cap it off and make it perfect for the modern traveller, they even have a DJ at breakfast in the huge glass windowed atrium with a delicious choice of breakfasts for health enthusiasts or someone wanting a treat in the morning. If I still haven't tempted you, then they even have a spa onsite as well. Being barely ten minutes from the city centre, it makes a perfect stay for some needed luxury barely a stone's throw from the hustle. Next time you stay somewhere, I can't recommend this place enough, not just because of all the extra details and care, but because it doesn't break the bank for a night. So much so that I'll be staying there again next year when I return for my sister's hen do.